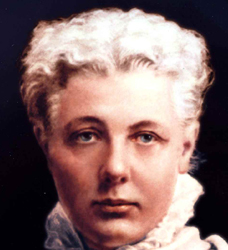 Annie Besant was born in London to Irish parents. In 1893, she left for India having been influenced by the Indian culture and civilization. She was famous as a social worker, educationalist and journalist. She became a staunch supporter of Indian Independence Movement and her contribution to India's freedom struggle was remarkable. She founded the Home-Rule League. She revived the Theosophical Society. In 1915, she chaired the Calcutta session of the Indian National Congress. She also edited 'New India'. She established Indian Boy Scouts Association. She received a prestigious award for her work for scouts. She also studied Hinduism. India is indebted to Annie Besant for her immeasurable work for freedom struggle, educational advancements and social reforms. She died at the age of 86.